You, as a funeral director, would see or handle MDF coffins almost every day in your funeral home. In fact, more than 2 out of 3 coffins used in Australia is made from MDF. Therefore, it may be worth knowing a little bit about this product. Especially so you can talk with families about it with more confidence when you’re arranging a funeral. But what is it? Is it actually timber? Or is it a man-made product? The answer, as you’ll read below, is both. Medium-density fibreboard (MDF) or Customwood is a man-made, engineered wood product. MDF is made by breaking down wood into fibres – much like the production of cardboard. These fibres are then combined with wax, glue and resin, along with heat and pressure to form 16mm thick panels. The panels are as hard, or harder than actual wood. And, are smooth and free of blemishes. Finally, a thin paper (veneer), with a printed wood grain effect, is glued onto the surface of the MDF to look like real timber grain. Why is MDF used to make coffins? Traditionally, all coffins were made from solid timber. However, over time high quality solid timber became more expensive and harder to source. Paper-veneered MDF was introduced into coffin making because it gave the look of real timber grain without the cost of real timber. Nowadays, MDF allows for a cheaper range of coffins to be produced that may be more affordable for some families. MDF is free of knots. Knots can occur naturally in some timber but are undesirable in coffin manufacture as they can cause weak points. 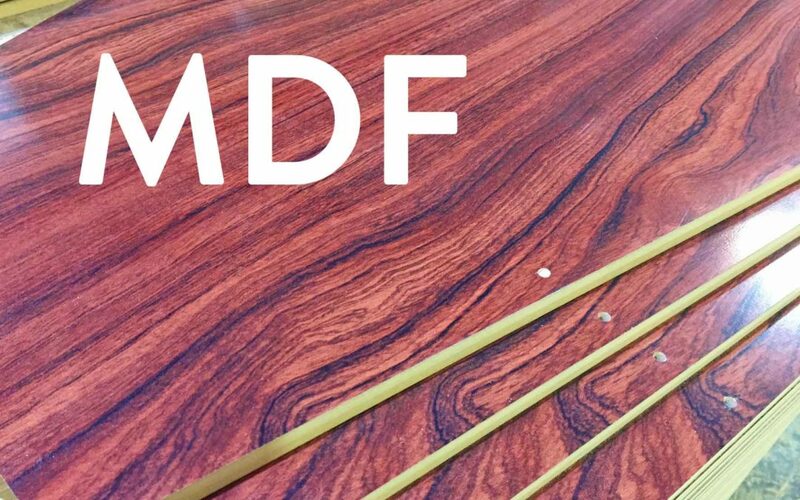 MDF is also strong but can be cremated and buried. MDF can be cut, machined and sanded just like regular timber. This allows for more efficient production, as machinery can be used in our factory that is common to both MDF and solid timber coffin manufacturing. At Ashton, we use eZero MDF. It is a more eco-friendly version than other forms of MDF and has lower formaldehyde emissions. Our MDF is produced from timber which is sourced from plantation radiata pine grown in Tumut in New South Wales and Gympie in Queensland. 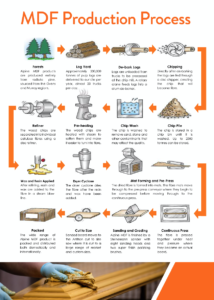 For more information, we have a one-page brochure on the MDF production process on our Resources page. Why not share this with your team. If you haven’t already, just register on our Resources page to have free access to useful items such as our catalogues, marketing assets and educational material.